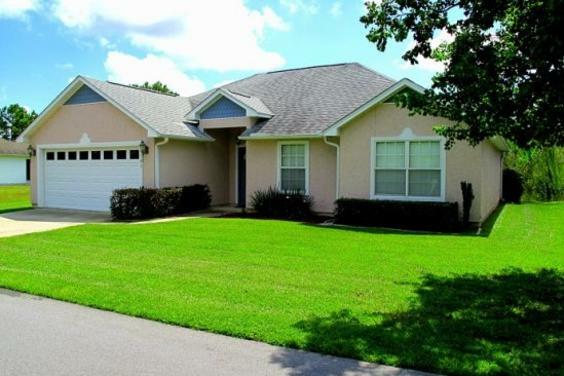 Welcome to West Florida House, our private home located in the gated community of Harbour Towne! 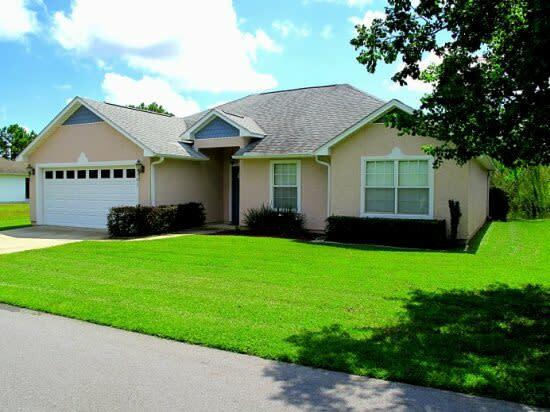 This 3 bedroom, 2 bath home is waterfront and offers a beautiful view of the lake and surrounding nature areas. The spacious living room features a flat screen TV, sofa sleeper, and direct access to the patio that overlooks the lake. The open kitchen features tile flooring, side-by-side refrigerator, dishwasher, electric appliances, and plenty of counter space for cooking and prep. The dining area has seating for 6 and access to the screened in porch that features a small, charcoal BBQ. The master bedroom has a king size bed, vaulted ceiling, and a walk-in closet. The adjoining master bathroom features a vanity area and a combination bathtub/shower. Both guest bedrooms include a queen size bed and easy access to the guest bathroom. Additional features of the home include a 2 car garage, sports package with tennis and soccer equipment, beach chairs & umbrellas, and a telescope. Harbour Towne is a quiet, residential community that is centrally located near the Hathaway Bridge making it a quick and easy commute to the beaches or to Panama City.